One of the UK’s leading tech companies is a key part of a testbed using the next generation 5G technology in driverless cars. Blu Wireless Technology in Bristol is part of the £4.1m AutoAir project led by Airspan Networks along with DenseAir, 5GIC, Quortus and Realwireless, as well as Arm and McLaren. “The goal of the consortium’s work is to deliver a range of 5G wireless technologies and services for Vehicle to Infrastructure applications (V2I),” said Mark Barrett, chief marketing officer at Blu Wireless. Various automotive use cases are being demonstrated and evaluated. The technologies being used include hyper-dense, neutral host small cell networks in sub-6GHz spectrum, 70GHz wireless backhaul and access to fast moving vehicles using 60GHz wireless. 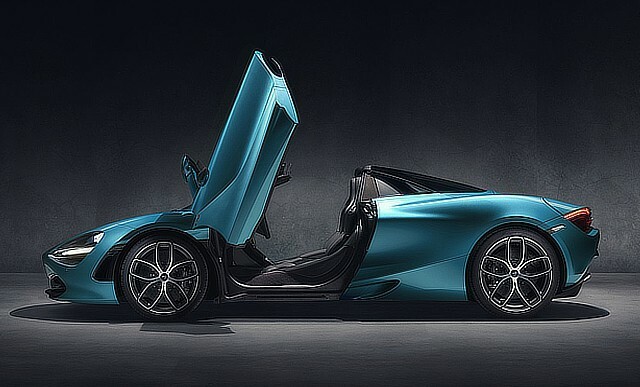 The project will demonstrate 1Gbps access to vehicles travelling at up to 160mph, with high-speed cars provided by McLaren, which this week launched the 720S Spider (above). Blu Wireless is the only mmWave wireless provider using the 66-71GHz band for backhaul, which is important for the AutoAir project. Some others are using the 57-65GHz band, but the higher band has significant advantages. The peak of atmospheric oxygen absorption is around 60 GHz, which means that these higher frequencies can potentially double the range. A significant challenge relating to connectivity of autonomous vehicles has nothing to do with being autonomous but is down to the amount of data customers are using. Having a single tower that’s capable of delivering 1Gbps of data sounds good, but if each vehicle consumes 100Mbps, that’s only ten vehicles. The answer is a hyper-dense network, with small cells every few hundred metres along roads and railways rather than single large towers every few kilometres; these small cell networks are being tested at AutoAir. Another issue is reliability. If wireless networks are used for any applications involving safety, then reliability is very important. This can be achieved by ensuring that vehicles are always within range of more than one basestation and that the signal strength is consistently good.